If you’ve ever admired Japanese Tabi socks or just fancied wearing socks with your toe shoes or sandals then this is the tutorial for you! 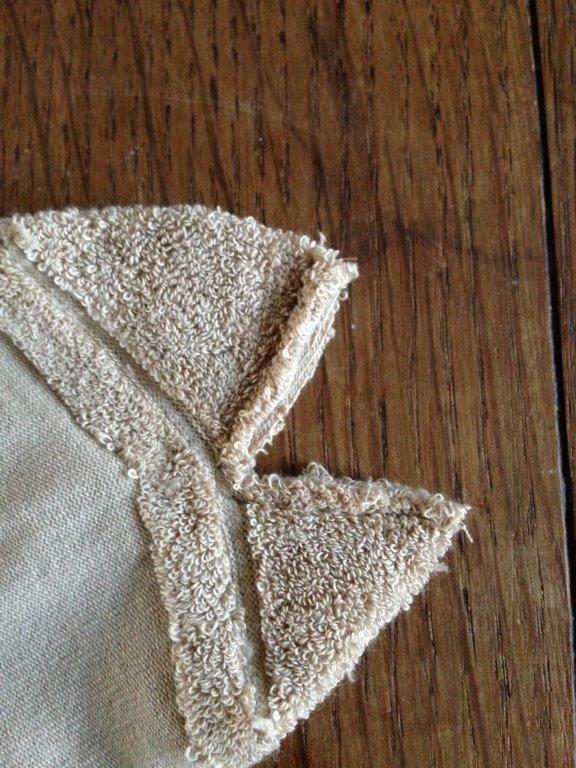 Japanese Tabi style socks are not only stylish they’re also super quick and simple to sew, all you need is a regular pair of socks to alter! 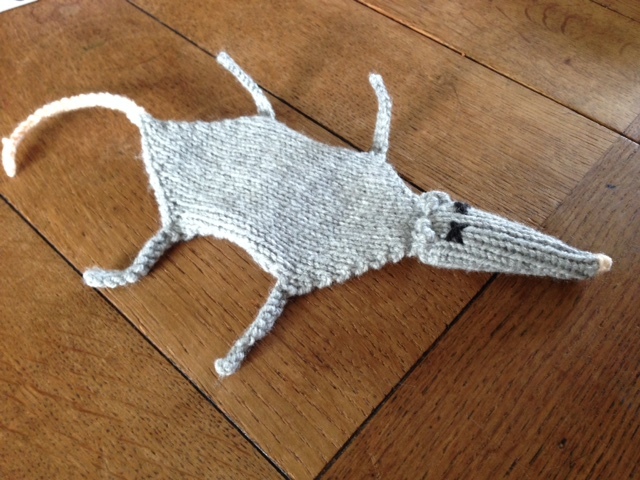 I whipped up several pairs of these recently when the kids were wearing flip flops as part of a costume and given that it was the end of November I didn’t want their toes freezing off. 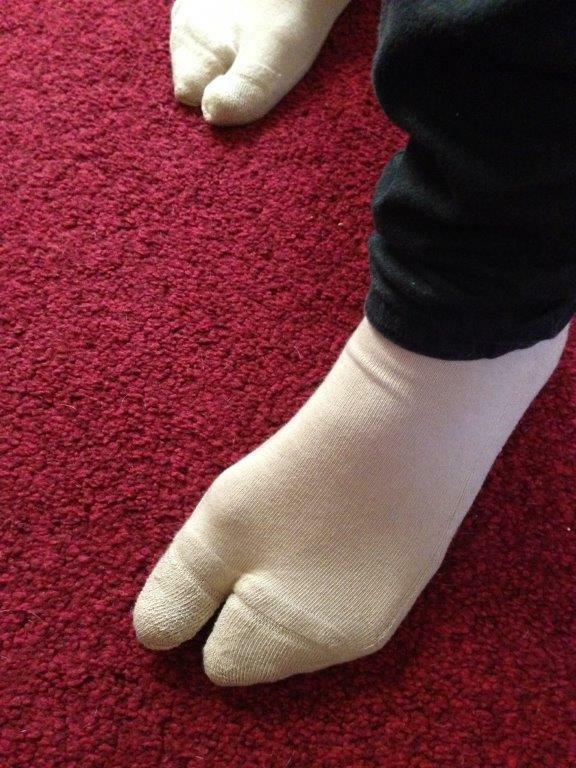 Cosplay considerations aside they’re also an extremely fun and practical sock design so give them a go today and sew simple Tabi socks with this quick and easy way to make toe socks. That’s literally all that’s required, I suppose you also need a pair of feet to measure them on but you’re bound to have all the materials required at home right now. 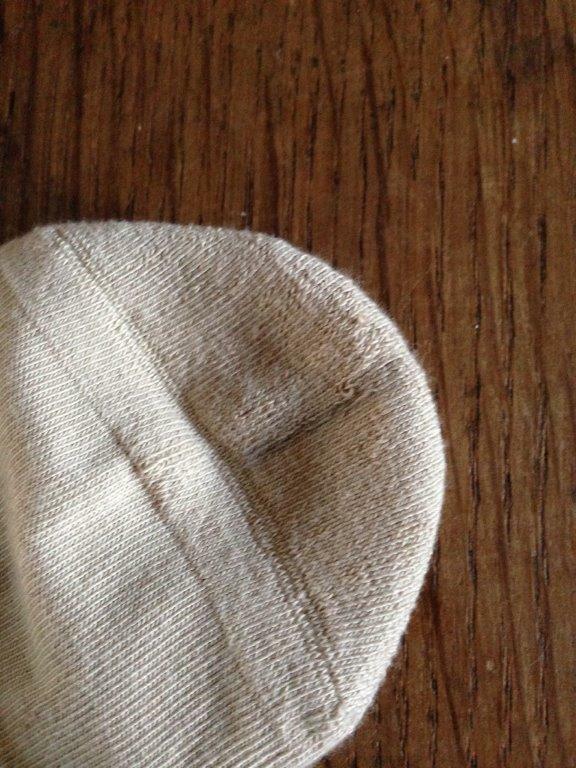 Put your pair of socks onto the recipient’s feet and mark (using a pencil or tailors chalk) a line between the big toe and the rest of the toes. 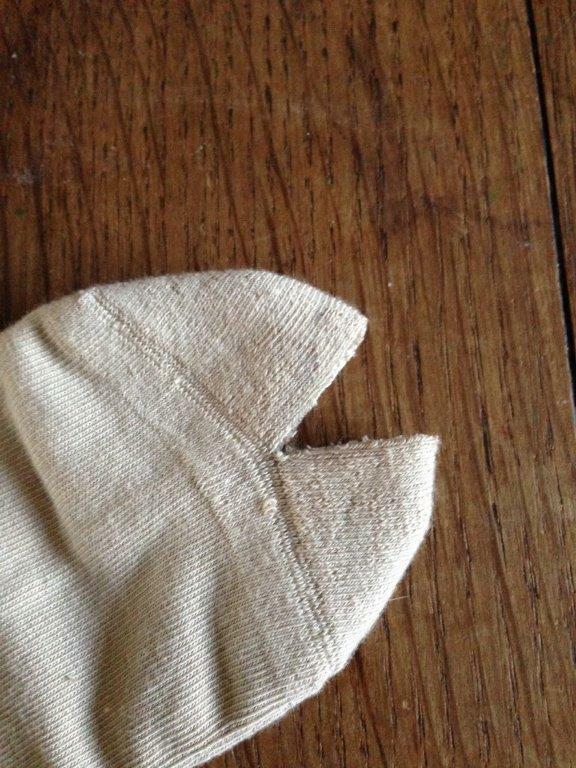 Remove the socks, and carefully cut along your line using scissors. 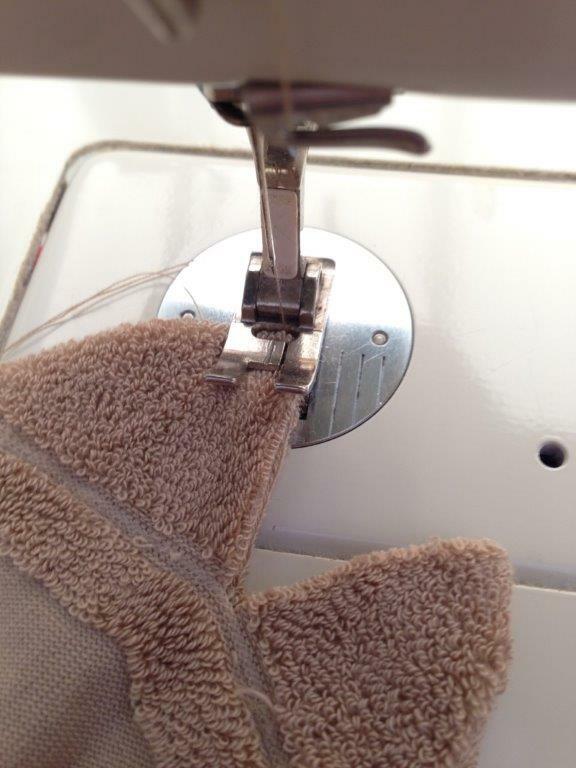 Turn the socks inside out and stitch close to the edge (just like in the pic) using either a sewing machine or by hand. 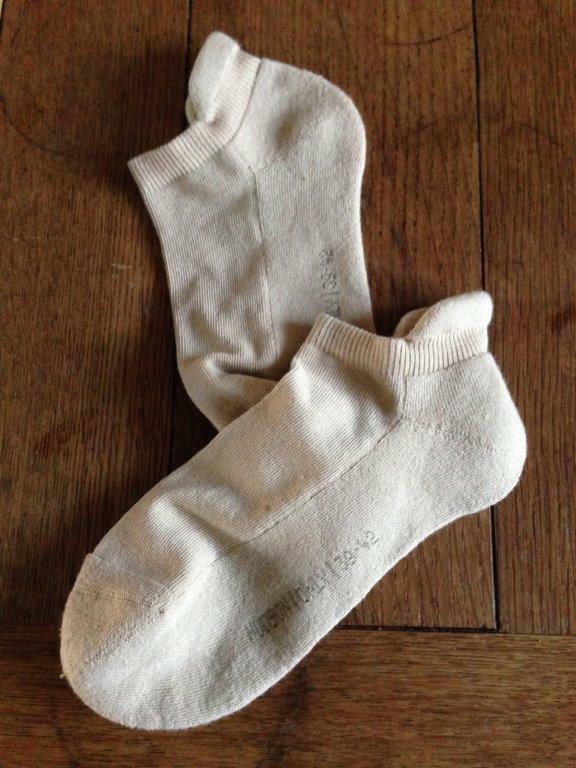 Turn the socks back out the right way, pop on the recipient’s feet and feel smug at your speedy and stylish accomplishment. 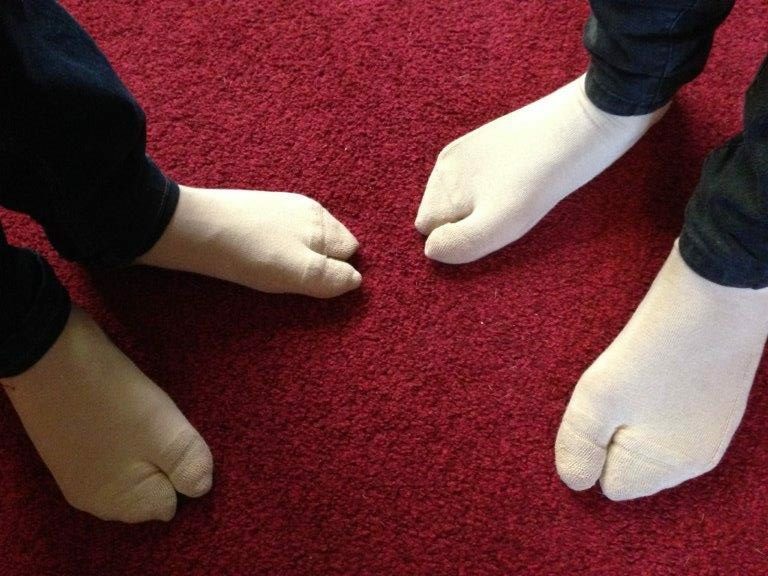 Make all your socks into toe socks and wear them with all your flip flops! 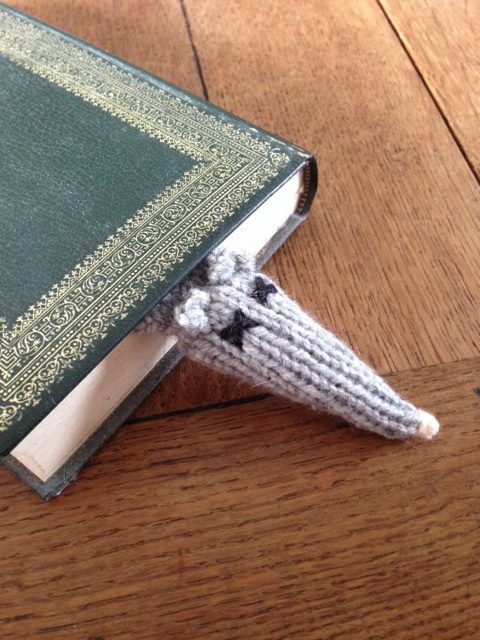 Or just so you can waggle your toes around the house while feeling all toasty and warm! 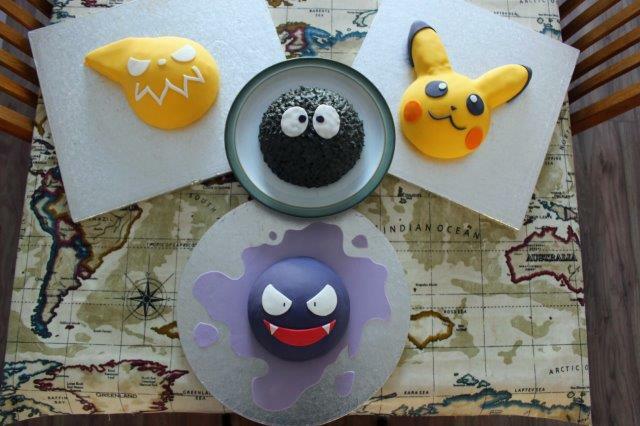 Pikachu Cake, Gastly Cake, Soot Sprite Cake and Soul Eater Cake! It was the twin’s birthday quite some time ago and after a crazy year (operations for more than one of us) I’m finally getting around to sharing some pics of their cakes. As they get older they naturally want to develop their individuality so rather than sharing a cake they really wanted to have one each… so I made 4!? Sense and logic was clearly working in my favour on that day but sometimes you just have to do all the things! 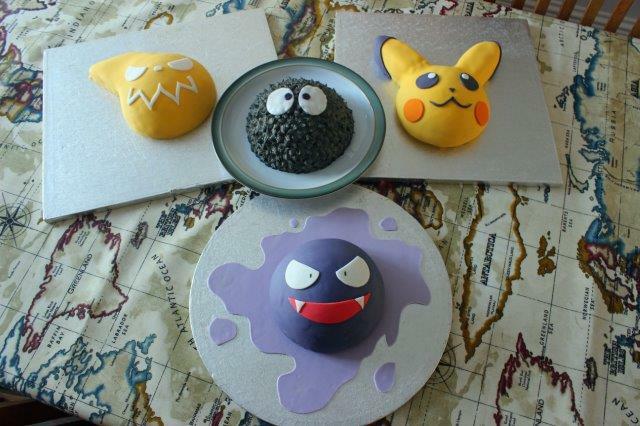 In case you don’t recognise the characters I made (I bet you recognize at least one Pokemon cake) these are a Pikachu Cake, Gastly Cake, Soot Sprite Cake and Soul Eater Cake! If you’re still none the wiser then read on and I’ll endeavour to explain. 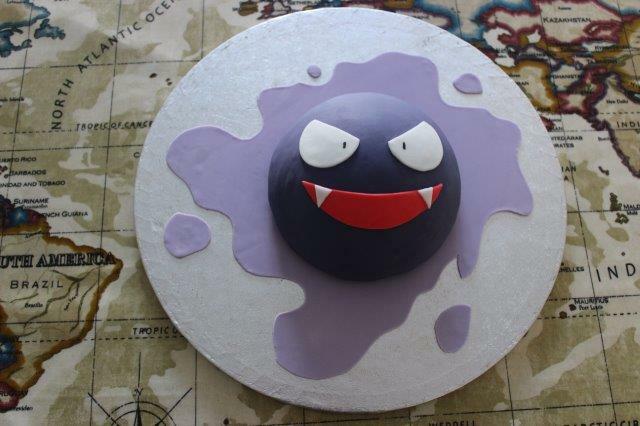 I would assume this cake is fairly self-explanatory and most people will be familiar with this Pokemon or at the very least you’ll have heard of Pokemon. 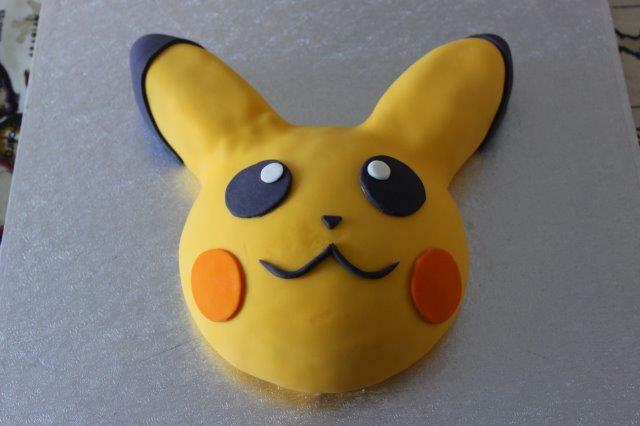 This is actually the second time I’ve caked Pikachu but the last time I made his whole body (he was super fat and fluffy!) and this time it was just his head. Keeping with the theme this is another Pokemon called Gastly. I think he’s some kind of ghost Pokemon but feel free to correct me if I’m wrong, I have selective amnesia when it comes to Pokemon thanks to hours and hours (and hours!) of commentary from both my boys. That plus I’m a Jiggly Puff fan! I really do love these little guys! The Soot Sprites appear in a couple of the hugely popular Studio Ghibli films My Neighbour Totoro and Spirited Away and they’re super adorable! 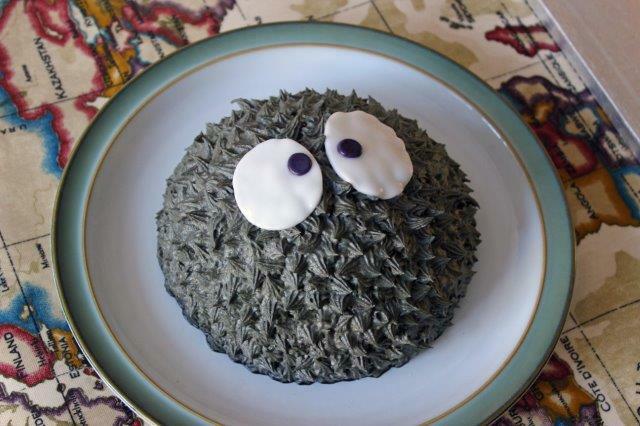 Incidentally this was the simplest cake to make and he got eaten first! Less grim than it sounds I promise. Soul Eater is a Japanese manga and anime which takes place in a school run by the Grim Reaper himself Death (as it turns out he’s quite an amusing fellow). It’s one we watch as a family and is a favourite of my daughter. All in all I think they turned out quite well. I had my reservations on whether we’d manage to eat them all but as it turned out that was a completely crazy and pointless concern (they were gone alarming quickly). 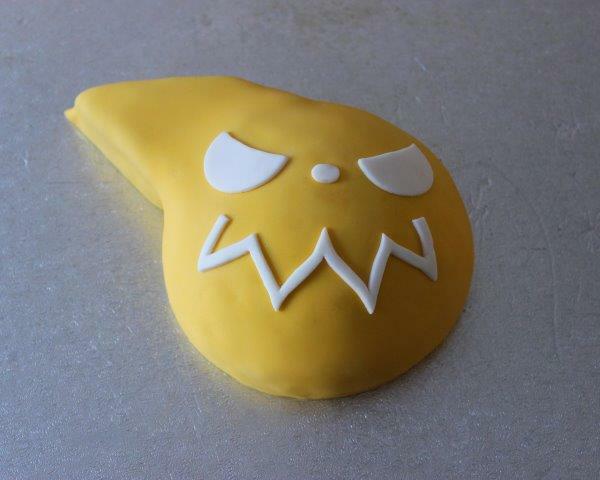 Comments Off on Pikachu Cake, Gastly Cake, Soot Sprite Cake and Soul Eater Cake!